This herb is native to the Mediterranean regions. It belongs to the Lamiaceae family. Rosemary has stimulant, carminative, analgesic, anti-inflammatory, antispasmodic, antiseptic, anti-fungal, antibacterial, antiviral, expectorant, hypertensive, hepatic, anti-carcinogenic, rubefacient, emmenagogue, and aphrodisiac properties. It stimulates the liver and gallbladder. Plus, rosemary proves beneficial in relaxing spasms. It is considered good for regulating blood pressure for individuals dealing with low blood pressure. It works as a mild diuretic, too. Furthermore, this herb reduces the risk of stroke. In addition, as it is packed with carnosic acid, it can help avoid neurodegenerative disorders such as Alzheimer’s disease. The antioxidants present in rosemary can prevent cancers by protecting the cells from damage by free radicals. Another well-known advantage of this herb is that it stimulates the brain and nervous system. It works as a cardiac stimulant and also helps in flushing out toxins from the body. Plus, it is believed that this herb improves sperm mobility. 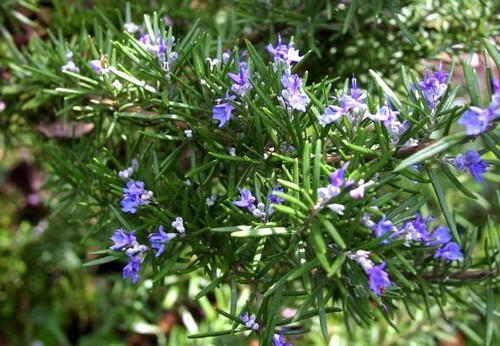 Relieving rheumatism, treating indigestion, curing common cold, calming an upset stomach, improving circulation, removing bad breath, clearing throat congestion, improving kidney function, reducing water retention, regulating menstrual cycles, combating leukemia, and preventing premature greying of hair are some other health benefits of rosemary. Watch this video giving information on rosemary health benefits. Moreover, it blocks the effects of estrogen hormones, thereby lowering the risk of developing breast cancer. This wonderful herb contains potent antioxidants and anti-inflammatory agents like caffeic acid and rosmarinic acid. The essential oil of this herb blends well with herbs like chamomile, basil, peppermint, lavender, cedarwood, thyme, clary sage, etc. It can be added in carrier oil for massage or a warm bath to relieve tension and stress. • Simply inhaling rosemary oil uplifts the mood and works as one of the best rosemary home remedies to remove mental fatigue and relieve headache. Taking warm rosemary tea reduces depression. • Inhaling the steam of an infusion prepared by boiling a handful of rosemary leaves in a liter of water helps reduce migraine headache. • This herb is advantageous for the heart as well. In fact, it can be used to relieve the pain associated with palpitations by applying a combination of equal parts of rosemary oil and mint oil mixed in carrier oil (you can use olive oil, jojoba oil, sweet almond oil, etc). Rub this solution on the chest. • Regularly having rosemary tea sweetened with honey boosts the immune system and aids in digestion. To prepare rosemary tea, you need to boil two teaspoons of dried rosemary (fresh rosemary leaves can also be used) in a cup of water. You can also add ginger in it. • Sprinkling rosemary sprigs on gassy foods before consuming them helps avoid gas and flatulence. • Massaging with a tablespoon of sunflower oil mixed with approximately eight drops of rosemary essential oil provides relief from muscle sprains. Follow this procedure for a few days. • Add a few drops of rosemary oil in a cup of distilled water and gargle with this home medicine frequently as a mouth wash to remove bad breath. • When dealing with gallstones, massage the abdominal area with a mixture of rosemary oil, lavender oil, and sweet almond oil. • Applying rosemary essential oil topically assists in healing menstrual cramps. It also relieves muscle ache and arthritis pain. Drinking rosemary tea is also helpful in this regard. • Applying olive oil mixed with a few drops of rosemary oil on the affected area is useful in treating athlete’s foot. • Rubbing a combination of olive oil or sunflower oil and rosemary oil on the stomach cures infant constipation. • Place a large handful of this aromatic herb in hot water and let it simmer for about five minutes. Finally, cool and strain the solution and use it as a natural deodorant to mask body odor. • Add four drops of rosemary essential oil in two tablespoons of castor oil and heat the mixture slightly in a microwave. Massage your scalp with this oil and leave it on your hair overnight. Rinse your hair and use a mild shampoo in the morning. Follow this therapy at least once or twice in a week as a natural treatment for reducing hair loss. • Using rosemary water as a final rinse after shampooing your hair makes your hair grow faster. To prepare rosemary water boil rosemary sprigs in a pot of distilled water for about 15 minutes. 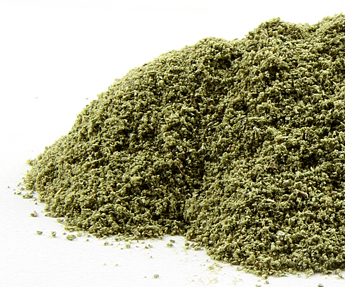 Moreover, as this herb tends to darken hair color, it helps control premature greying of hair. • To get rid of dandruff, rinse your hair with a mixture of rosemary vinegar and lukewarm water after shampooing. You can make rosemary vinegar by steeping three tablespoons of fresh or dried rosemary in a cup of hot water for half an hour to 45 minutes and adding a cup of apple cider vinegar in it when it cools. • Rosemary helps in curing candidiasis as it possesses antibiotic and anti-fungal properties. For this, you need to drink rosemary tea three times in a day on a regular basis. • To get rid of cellulite, apply a combination of rosemary and fennel essentials oils mixed in any carrier oil such as olive oil and massage this blend on the affected area for about five minutes. Finally, wash it off with lukewarm water. It reduces fluid retention and increases circulation. In the ancient Egyptian civilizations, the rosemary plant and its extracts were used as incense. Ancient Greeks and Romans considered it as a sacred herb. Moreover, it is a symbol of friendship, remembrance, and fidelity. It is suggested to avoid using rosemary herb during pregnancy and lactation as it tends to have embryotoxic effects. Moreover, this herb is not recommended for those who are prone to epileptic seizures. 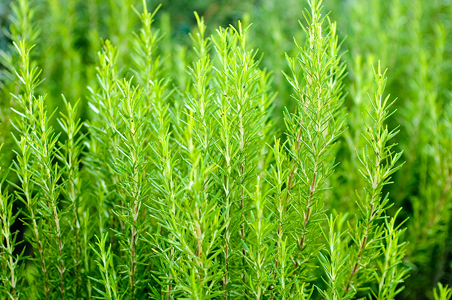 Though it benefits in improving the overall health still, do not make excessive of rosemary as it can cause vomiting. Besides, it is believed that it can lead to iron deficiency as it slows down the absorption of non-heme iron. Plus, it may interfere with ACE inhibitors, blood thinning drugs, lithium, and medications containing estrogen. Ingesting rosemary oil can cause toxic effects.